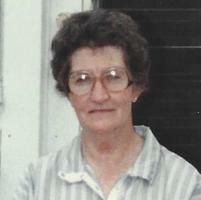 Provide comfort for the family of Louise Roberts with a meaningful gesture of sympathy. Mrs. Louise Shiver Roberts of Hamilton Cross Roads passed away Thursday, December 13, 2018 at her residence. She was 92. Funeral services will be held at 2:00 p.m. Sunday, December 16, 2018 at Hamilton Cross Roads Church of Christ with Minister Shane Himes officiating. Burial will follow in Hamilton Cross Roads Church of Christ Cemetery with Skeen Funeral Home of Troy directing. The family will receive friends Sunday at the church from 1:00 p.m. until service time. She was born February 22, 1926 in Alabama to the late William L. Shiver and Lula Johnston Shiver. She was a member of Hamilton Cross Roads Church of Christ. She was a great mother and grandmother and dedicated her life to her children, grandchildren and great grandchildren. 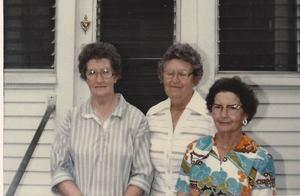 In addition to her parents she was also preceded in death by her husband, Roy L. "Buck" Roberts, Sr., brothers, Ezra Shiver and Cliffton Shiver, sisters, Nadine Reed and Margaret Roberts. She is survived by her sons, Sonny Roberts (Rita) and Billy Roberts (Shannon) all of Hamilton Cross Roads; special nieces, Cheryl and Dinah; brothers, James Shiver, Hamilton Cross Roads and Jerry Shiver, Brundidge; grandchildren, Robbie (Kristie), Matt (Connie), Mona (Kenneth), Ryan (Gennive) and Brad; great grandchildren, Parker, Madison, Courtney, Cody, Holley, Alex, Kameron, Jade and Kenny; and great-great grandchildren, Mason, Dallas and Lea. Memorials may be made to Hamilton Cross Roads Church of Christ Cemetery Fund. To send flowers in memory of Louise Roberts (Shiver ), please visit our Heartfelt Sympathies Store. Funeral services will be held at 2:00 p.m. Sunday, December 16, 2018 at Hamilton Cross Roads Church of Christ with Minister Shane Himes officiating. Provide comfort for the family of Louise Roberts (Shiver ) by sending flowers.